It's the "Year of the V-8" for Mercedes-Benz, and fortunately the M-Class shares in the celebration. 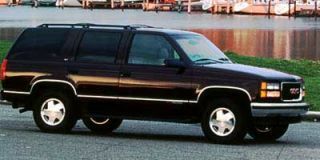 The ML320, powered with a V-6, was an immediate hit after its 1998 debut. The new ML430 seeks to build on that success by adding a pinch of style and a pound of oomph. Setting the ML430 apart from the ML320 is a 268-horsepower 4.3-liter V-8, aggressive 17-inch wheels, body-colored bumpers, heated leather seats and wood trim. 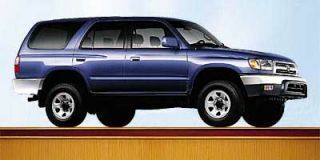 New in 1999 for both M-Class variants are an optional louvered roof and two active safety systems unique to SUVs: Brake Assist and ESP. A capable vehicle on and off the beaten path, this compact sport-ute combines refined road manners with true off-road performance. It drives like a Mercedes — albeit a tall one — in any weather and on any surface. Few suspected that Mercedes-Benz would enter the SUV market, much less become a major player in the heart of the premium segment. 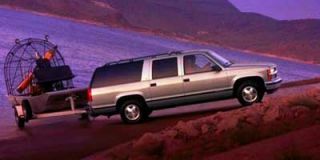 But after the ML320 drove away with the 1998 North American Truck of the Year award, along with a trunkload of others, it's clear that this German automaker hit the sweet spot. And now Mercedes comes to bat with a new big hitter — the ML430 with a base price of $43,750. For some, the jury is still out on M-Class styling. 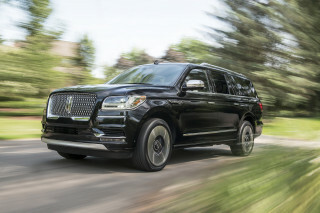 It's been likened to a vehicle that is morphed somewhere between the mom-pleasing minivan and the now-popular aggressive sport-utility styling. Despite a certain amount of ambivalence on the styling issue, hordes of buyers have obviously found it appealing. The grille (and its prominent three-pointed star) evokes the styling of the marque's roadsters and coupes, while the hood lines are traditional Mercedes. The swoopy headlamps and bumper air scoop show more unconventional traits, however. 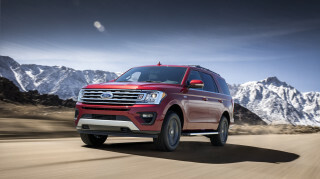 Passenger doors are large (more than 4 inches wider than Explorer's) and swing wide, while the enormous rear hatch allows even the tallest individuals to stand comfortably underneath. A substantial C-pillar displays the solidity of the body-on-frame construction. 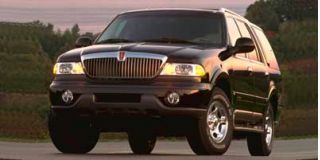 Exterior enhancements over the V-6 model include privacy glass, color-keyed bumpers and mirrors, and bold seven-spoke 17-inch alloy wheels with 55-series tires. 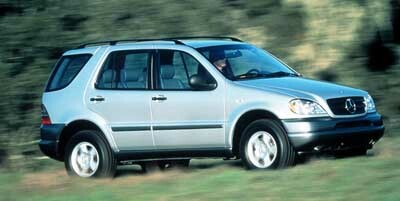 These changes make ML430 more of an urban and highway cruiser than is its down-and-dirty V-6 sibling. Under the sloped hood (which feels a bit flimsy and is only supported by a manual prop-rod in lieu of the usual gas-pressured struts) lurks an advanced V-8 engine that cranks out 268 horsepower and a prodigious 288 foot-pounds of torque. That kind of oomph facilitates not only an 8-second zero-to-60 sprint, but also effortless passing and around-town driving as well. The root of the new engine's power is also the secret of its efficiency. An innovative three-valve-per-cylinder design makes room for twin spark plugs, allowing for better control of the combustion process. This combined with light weight, low friction, and tuned induction make ML430's engine the new standard for emissions, fuel economy and response. 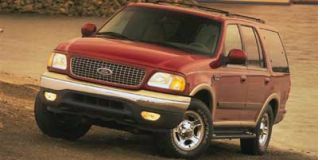 An excellent driver-adaptive five-speed automatic transmission and two-speed transfer case yield a total of 10 forward speeds. Low range is selected by simply pushing a button on the dashboard. Four-wheel drive is full time, but instead of traditional locking differentials, the M-Class uses existing ABS hardware and special software to achieve the same effect without the added complexity, cost, or weight of a mechanical system. 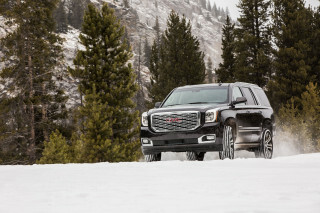 The system effortlessly ensures the vehicle’s forward progress even when only one wheel has traction. Mercedes has always been a leader in active safety, and the M-Class is no exception. Not surprisingly, anti-lock brakes are standard, but the M-Class has a unique edge in stopping ability: Brake Assist. German engineers found that even the best drivers do not brake hard enough, or soon enough, in an emergency. The Brake-Assist system provides full braking force automatically when it detects sudden brake application. This system works transparently and can reduce stopping distances considerably. 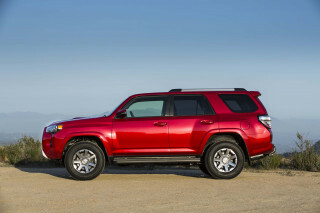 Also unique to the SUV market is ESP, which in this case stands for Electronic Stability Program. When activated, this remarkable feature helps maintain directional stability in emergency situations and on slippery surfaces by momentarily applying the brake on an individual wheel — something even the best driver cannot accomplish. A fully independent suspension provides carlike handling and a ride close to that of a Mercedes sedan. It has tremendous confidence-inspiring composure and stability. But when this dual-personality vehicle switches over to its off-road "truck" side, the springs (torsion bar in front, coil in back) allow exceptional wheel travel through rocky streambeds as well as over potholed urban streets. For those who want the exact numbers, the interior is 98.44 percent Mercedes. (American suppliers provided the remainder.) Teutonic and businesslike, the controls are neatly organized, though not exactly where they belong. The radio is mounted high in the genuine walnut console, but to the right of the seldom-used low range switch. Heating, ventilation and air-conditioning controls are logical and easy to manipulate. Mercedes' signature oversize leather-wrapped steering wheel remains, providing a clear view of the large instruments. Outside visibility, augmented by large mirrors, is exceptional. Now come the concessions made for the American market. To make room for a cup holder (not your typical German feature), Mercedes abandoned the dash-mounted rotary knob and put the headlamp switch on a stalk, instead. Incidentally, the cup holders are a mixed blessing: While they are well built and elegant, they only hold a limited range of container sizes. The electric seat controls are not on the door panel, as is usually the case with M-B cars, but on the seat itself. This puts the M-Class in step with the rest of the automotive world. In general, the quality of materials is quite high. But there are some details that don’t quite measure up. The glove box hinges and the faux wood (first ever on a Benz) on the interior door grips, for example, suggest that the M-Class is not built to the same standards as the company's other vehicles. 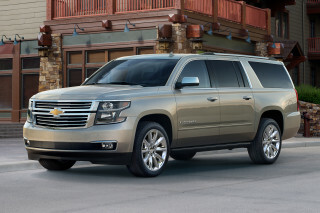 The Alabama facility that produces the SUV is still new, however, so improvement is likely. Overall, though, workmanship is quite good: All body panels fit well, and doors shut with typical Mercedes authority.